Welcome to Judy Niemeyer’s Mariner’s Compass Technique of the Month class!! After registering for your class you received these Pre-Class Instructions along with Booklet 1, Introduction for the Mariner’s Compass pattern. This introduction booklet will assist you in selecting your fabrics and help you with the initial cutting that is required before your first class. The pattern for this quilt will be purchased directly through me on a monthly basis. I have provided the first booklet in advance and the cost will be added your 1st and 2nd month’s pattern fee which will be $25.00 total. The fee for the remaining 4 months will be $10.00 per month. We will decide as a class how you want to receive your additional patterns after we meet for the first class. There will be several options, but the class will have to decide on one option for the whole group. Pre-cutting the fabrics is a mandatory requirement prior to taking this course. Please begin choosing and preparing your fabric at least 3-WEEKS prior to the class to make sure that you are able to get familiar with your pattern and complete the pre-cutting beforehand. We always recommend reading through each portion of your pattern several times before beginning. Teaching Techniques & General Information: Please take the time to read through the introduction booklet completely. The more you read it, the more familiar with the pattern you will become. Fabric Selection: Please read “Selecting Fabrics” on page 3 of Booklet 1, Introduction. Please pay special attention to paragraphs 6 – 9. Although you will be taking this class from a Certified Instructor, you will be selecting your own fabric so you will need to sort your fabrics for each unit, assign a fabric # to each fabric, then cut and divide the yardage for each booklet. We will go over additional specific cutting instructions during our first class. The information you need to accomplish this is found on pages 3, 6 – 11. Please read these pages over several times prior to selecting and cutting your fabric. 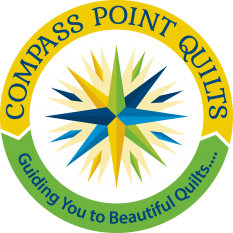 Something to think about when selecting fabric…The Long Spokes of the Large Compass extend from near the center of the quilt through the Large Outside Ropes. When selecting fabrics for these pieces, make sure that you look at all of the fabrics that the Spokes will be touching as they extend out from the center, checking for color and values. Templates, Template Layout Sheets & Foundation Papers: Please take the time to read and the instructions for ‘Templates & Template Layout Sheets’ and ‘Cutting out the Foundation Papers, Templates and Template Layout Sheets’ on page 4 of Booklet 1, Introduction. During our first class I will review and demonstrate some quick, time saving methods to cut out your foundation papers and layout sheets. You will then cut the first lessons sheets out during class and will complete the rest of the paper cutting at home. Marking “Fabric Guide Lines” on Foundation Papers: This step helps you to locate the actual area that your fabric needs to cover before adding your fabrics. It takes a few minutes to complete this step, but it saves a lot of time when you don’t have to rip out seams when fabric has been miss-placed during the sewing process. We will review this during your first class. This can be completed at home for each lesson the month prior to the next class until you are comfortable placing your fabric s without the guide lines. Cutting Instructions: The initial cutting for this pattern prior to the first class requires you to only cut your fabric into specific yardage for each Unit, Booklet and Chapter #. You will need to initially mark gallon and/or two gallon Ziploc bags with Booklet #’s 1-8 written on each bag. This is where you will place each piece of yardage cut to keep your fabrics in order. This will also help to break the pattern down into manageable sections and help to limit the possibility of becoming overwhelmed. Place fabrics into the bags specified in the cutting instructions located on page 3 & 10 of Booklet 1, Introduction. Fabric Key: When you are cutting your fabric into yardage is a great time to snip a small piece of fabric to apply to your fabric key located on pages 6, 7 & 8 of Booklet 1, Introduction. This key will be used as a reference throughout the construction of your quilt and it is easier to complete when doing your initial cutting. You may want to check out the following sites prior to selecting fabrics. There are many samples, slide shows and color-changing quilts available for you to enjoy. There are also helpful hints posted for most of the patterns that have been published on the Quiltworx site.